Wonderfully presented and cleverly written, the art has a great deal of variety and styles. The ten A4 posters are unique and will brighten up any Star Wars fans wall. A must for any discerning Star Wars design fan. What do you get the Star Wars fan who has everything this holiday season? Fans of the Force Franchise are spoiled for choice when it comes to buying them presents; there is literally merchandise everywhere adorned with Darth Vader, Han Solo or Stormtroopers. 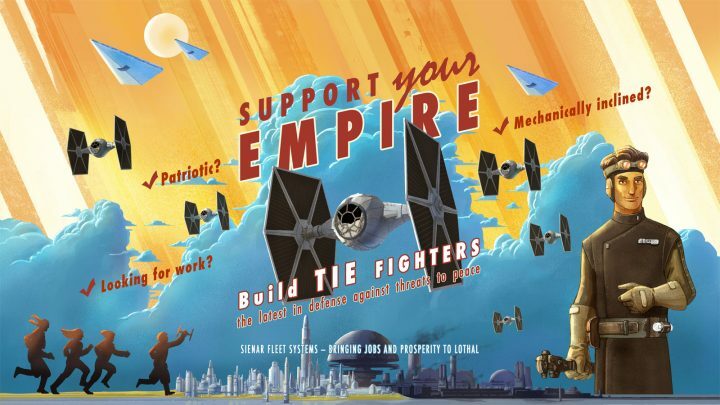 Star Wars Propaganda may be the ideal and unique choice for the more design conscious wannabe Jedi Knight/Sith Lord this Winter 2016. This collection of “Persuasive Art” is beautifully presented and curated by Star Wars guru Pablo Hidalgo who knows everything there is to know about the far far away Galaxy. Hidalgo has written or co-written several authoritative Star Wars reference books, including Star Wars: Year by Year, Star Wars: The Essential Reader’s Companion, and Star Wars: The Force Awakens: The Visual Dictionary, even appearing on screen as a character in 2005’s Episode III: Revenge of the Sith. This book is more than just a collection of art that will sit well on your coffee table. 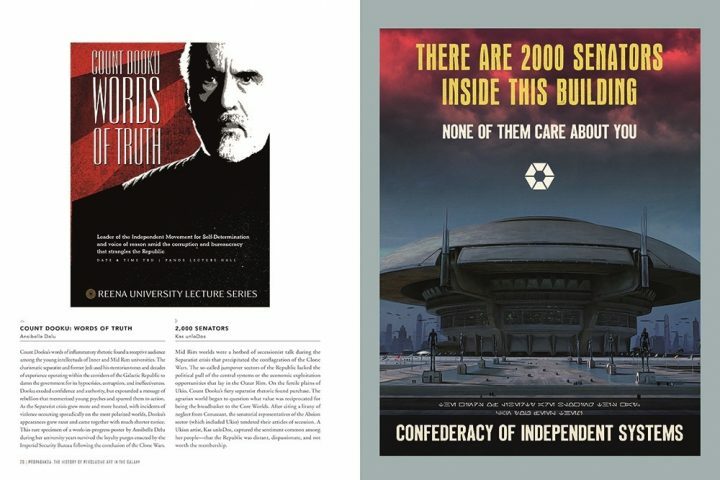 The book itself is cleverly written from the perspective of people living in that universe giving the reader a unique insight to the Star Wars universe over the span of the whole saga from the fall of the Galactic Republic to the tyranny of the Empire, the Civil War and the rise of the New Order. The art work itself borrows from various well known propaganda techniques that you may have been familiar with in your history books with styles evoking both Allied and Axis works from World War 2 and Soviet realism works from the 1920’s onward. What’s more, the book also comes with ten A4 ready to frame poster making it an ideal gift for you or your Star Wars adoring friends who like to display their fandom on the wall. Here’s a small sample of what’s inside. 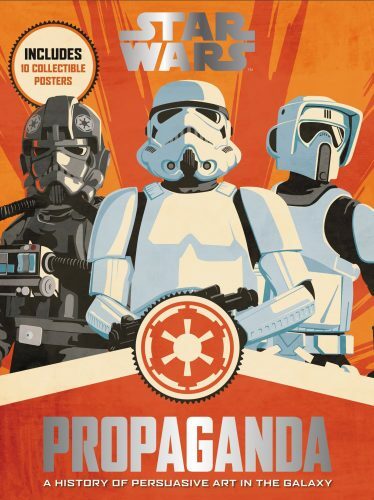 Star Wars Propaganda: A History of Persuasive Art in the Galaxy is available from Harper Design from the 3rd November 2016, retailing at £30. For more reviews stick with Geek-Pride.